D1. Which of the following community-wide bicycle encouragement programs or policies exist in your community? Check all that apply. D2. What other groups actively promote bicycling in the community? Check all that apply. D3. 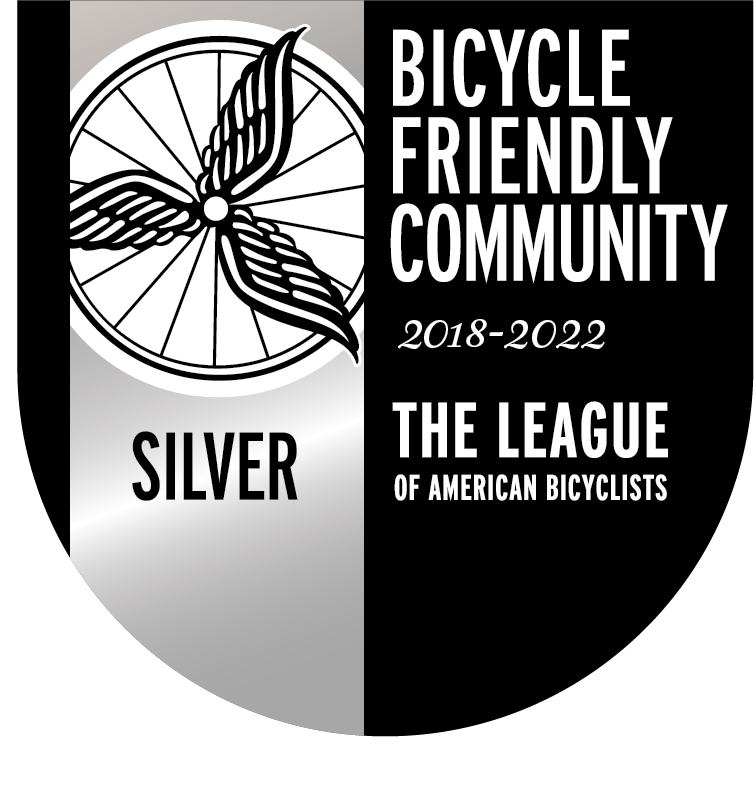 Does your community actively promote the League of American Bicyclists’ Bicycle Friendly Business (BFB) or Bicycle Friendly University (BFU) programs in your community? D4. What up-to-date mapping and route-finding information is available for your community? Check all that apply. D5. How is National Bike Month/your own dedicated Bike Month promoted in your community? Check all that apply. D6. How is bicycling promoted in your community outside of Bike Month? Check all that apply. D7. Are any bicycle events specifically marketed to any of the following traditionally underrepresented groups? Check all that apply. D8. How does the municipality sponsor or actively support bicycle events in the community? Check all that apply. D9. Are any of the following cycling clubs/groups active in your community? Check all that apply. D10. Does your community have any of the following youth programs centered on encouraging bicycling for children and youth? Check all that apply. D11. What is the ratio of for-profit specialty bicycle retailers (shops dedicated primarily to selling bikes and bike-related equipment) to population within your community’s boundaries? D12. Is there at least one bike co-op or non-profit community bike shop within the community’s boundaries? D13. Describe any other events, programs or policies your community has to encourage bicycling. There are 5 bicycle shops in town for the 2,900 year-round residents and the many visitors during the summer.